When you cross the finish line of the Cromwell Spring Challenge, you and your team mates have accomplished something very special. 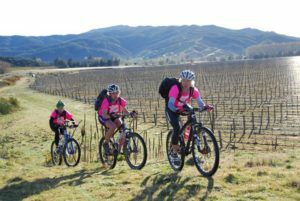 Designed for Intermediate Adventure Racers who are looking to complete the Spring Challenge event, the primary goal of this training plan is to prepare you to COMPLETE the Cromwell Spring Challenge. Crafted by myself, Ray Boardman PGDipSportsMed, PGDipRehab, PGCertSc (Exercise Science), BSc (Anatomy), DipSportsStudies this plan encapsulates my passion for the sport, my experience from being involved in adventure racing for many years and completing dozens of Half and Full IRONMAN distance finishes and my success coaching hundreds of triathletes & adventure racers. Starting 24 weeks before the Cromwell Spring Challenge (on 15th April 2019), this plan progresses through phases to build your fitness to it's peak performance. Each week typically contains a workout each day, with weekend adventures for you and your team mates. Although not necessary, I recommend using a heart rate monitor in conjunction with a GPS watch (such as a Garmin). Purchase of this plan gives you access to my fortnightly coaching calls where you can ask me any training or racing related questions. Training for another race distance? 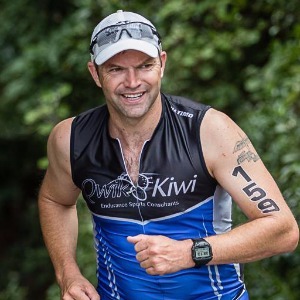 I also have training plans for IRONMAN/Challenge Triathlons (3.8km Swim/180km Bike/42km Run) and Sprint & Olympic Triathlons plus Running Races (from 5k to marathon), too. • This training plan starts on Monday 15 April 2019 and finishes on race day.